Maria Bailey is an award-winning author whose books have been published around the world in a dozen languages. She is the author of seven books, including her newest book, Millennial Moms: 202 Facts Marketers Need To Know To Build Brands and Drive Sales (Wyatt-MacKenzie 2015), Power Moms: The New Rules for Engaging Mom Influencers Who Drive Brand Choice (Wyatt-MacKenzie, 2011), Mom 3.0: Marketing WITH Today’s Mothers by Leveraging New Media & Technology (Wyatt-MacKenzie, 2008), Trillion Dollar Moms: Marketing to a New Generation of Mothers (Prima, 2005) and The Women’s Home-Based Business Book of Answers (Prima, 2001). 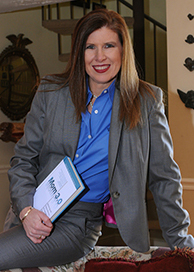 In addition to her own B2B and consumer books, Maria has contributed to dozens of business and parenting books on topics ranging from marketing to adoption. 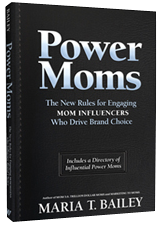 She is also a regular contributor to several trade publications, including MediaPost’s Engage:Moms and Maternity360. Ever since her first book was published, Maria has shined the spotlight on the spending power of moms – to the tune of $2.1 trillion annually, a number that has become the standard in the industry. She consistently predicts trends among moms and the latest technology and platforms that moms are using to spread the word about products and services. With her finger of the pulse of mothers, Maria continues to offer engaging insights in the world of these powerful influencers.